Celsius Combi 45 - 50 boiler - Celsius a takarékos energia - fűtés rendszerek akár 5 év garanciával. Please look at our system's offer for this boiler! In case of buying Celsius system package we insure 5 years extendable guarantee*! 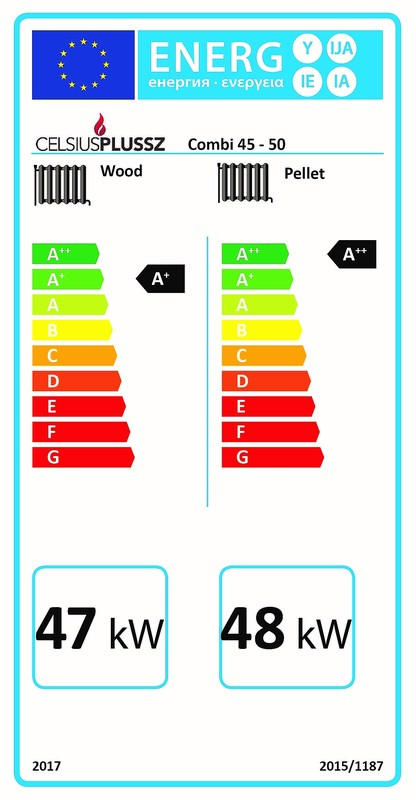 The Celsius Combi Boiler is our most up to date boiler. 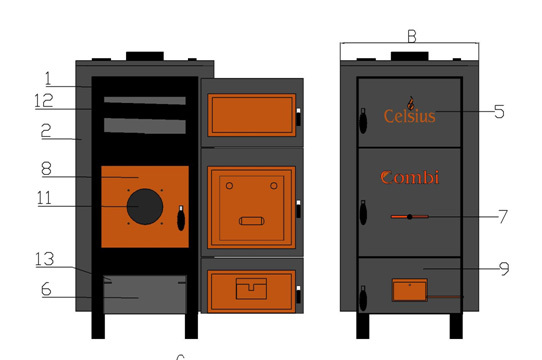 Celsius Combi boilers were developed to operate with either dry wood or wood pellet (DIN+ quality, 6 mm diameter thick). Its structure is similar to that of a traditional wood burning boiler, however, its operation is a lot more economical with the use of highly efficient equipment. The boiler requires minimum maintenance and will continue to meet your heating requirements over its long lifetime. The boiler can be connected to any kind of central heating system, from radiator to floor heating. Increased savings due to possibility of 4 different pellet quality parameters. These boilers are suitable for burning wood and in auto mode Wood Pellets may also be used. 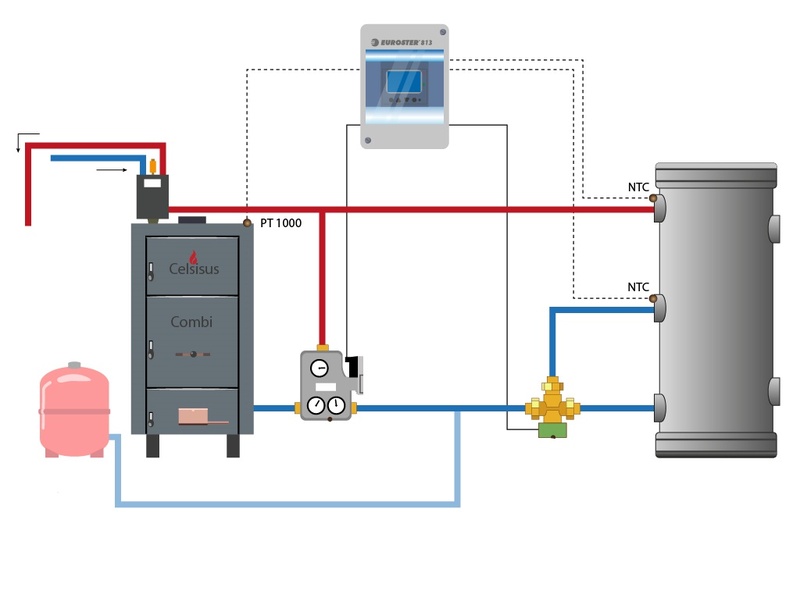 Thanks to its special design the boiler can utilize both fuels with outstanding efficiency. Celsius boilers are suitable for gravity or pump controlled heating systems for family houses, workshops, various farm houses, agricultural halls, institutions and greenhouses. Celsius solid fuel burning boilers have different models which are sized by heat output to meet your individual requirements. 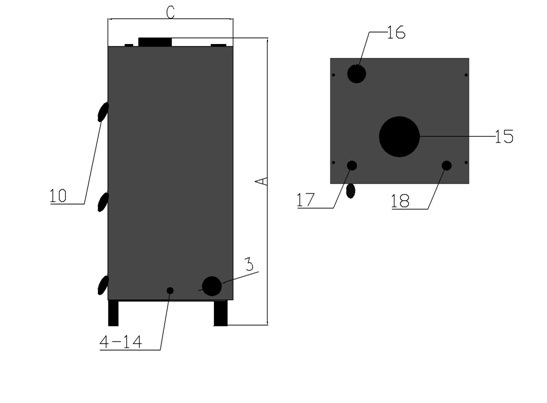 3-way motorized diverter valve 1"